A busy day and lots to work on so will just detail a few horses which capture my interest. Kamra was fancied to go well on debut when make 5/6f. This American-bred son of Stay Thirsty cost $100,000 when purchased at the breeze-up sales. Basically, he wasn't ready for his debut and a slow start combined with an equal measure of inexperience resulted in a disappointing effort, finishing second from last. The betting is key here. If priced 13/2 & less SP I would expect to see a bold show and respectable each-way claims. If weak in the betting - best watched. Winning Ways has fair each-way claims from a statistical point of view. I backed Leontes on his second start, which turned out to be a better race than I had expected. Andrew Balding's charge was far from disgraced in the Windsor castle at Royal Ascot and this drop in class looks ideal. This chestnut colt has valuable experience and faced testing ground before. At odds of 5/1 I would be disappointed if this son of Paco Boy couldn't hit the frame. Looks about his best chance to taste success. Another of Andrew Balding's two-year-olds of interest here. 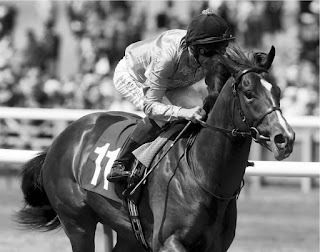 The Kingsclere handler does particularly well at Epsom and Manolito De Madrid ticks a lot of boxes and expected to win. This son of Soldier Hollow was relatively fancied on debut at Sandown over 7f. This bay colt traveled well and touched short odds in-running. He pulled hard and looked to hold every chance in what turned out to be a messy affair, but tired in the closing stages to finish 5th but showing promise. This novice median auction stakes brings an easier opportunity and I would imagine connection are bullish about their chance.